Seating is limited to 10 attendees, so claim your seat in advance! 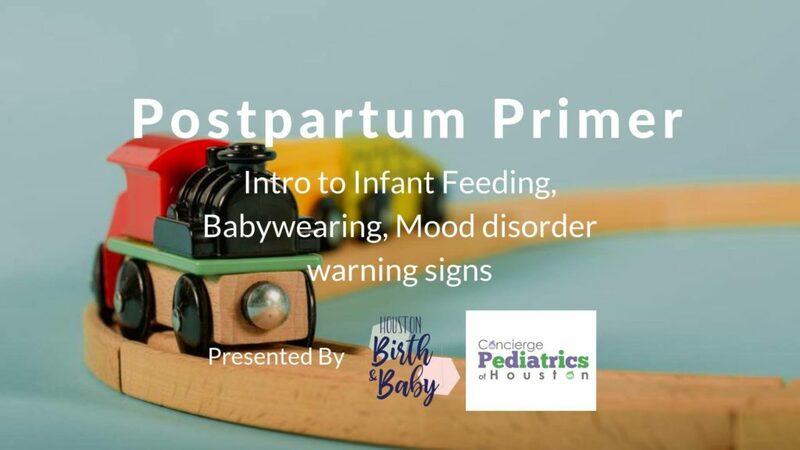 Postpartum Primer is an intro to Infant Feeding, Babywearing, and postpartum mood disorder warning signs. Filling the gap when the “what ifs” happen is an essential part of helping families achieve their infant feeding goals. We will discuss those as well as learn about the physical and emotional healing that takes place during the fourth trimester. We will discuss ways to bond with your baby beyond feeding and help you gather tools and resources so that you can implement a plan to care for yourself while caring for a newborn. Additionally, we will chat about how to recognize symptoms of Baby blues, depression, psychosis, obsessive-compulsive disorder, post-traumatic stress disorder and the Edinburgh Postnatal Depression Scale in regards to when to refer to a medical professional. The basics of feeding an infant- proper latch, paced bottle feeding, proper milk storage, introducing a pacifier. Body mechanics while wearing your baby, and proper positioning of the baby in various carriers. Postpartum plan creation and why it is important. Warning signs and how to get the help you need when dealing with postpartum mood and anxiety disorders.